Zadar is a city in Croatia on the Adriatic Sea. 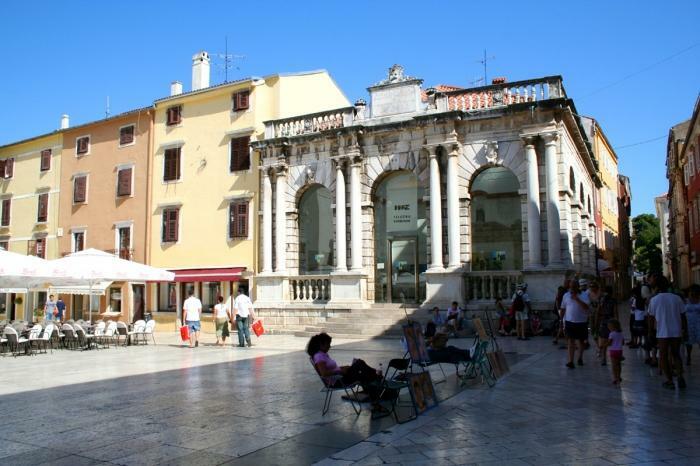 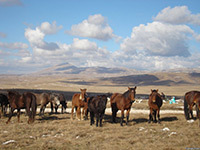 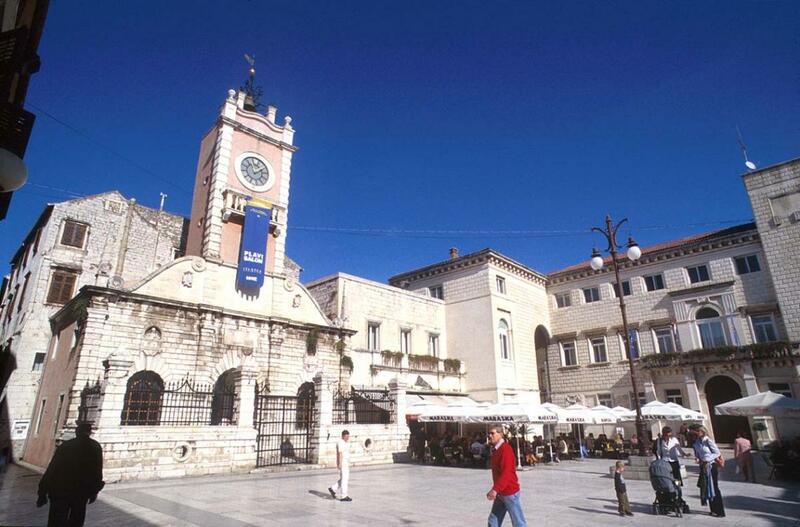 It is the centre of Zadar county and the wider northern Dalmatian region. 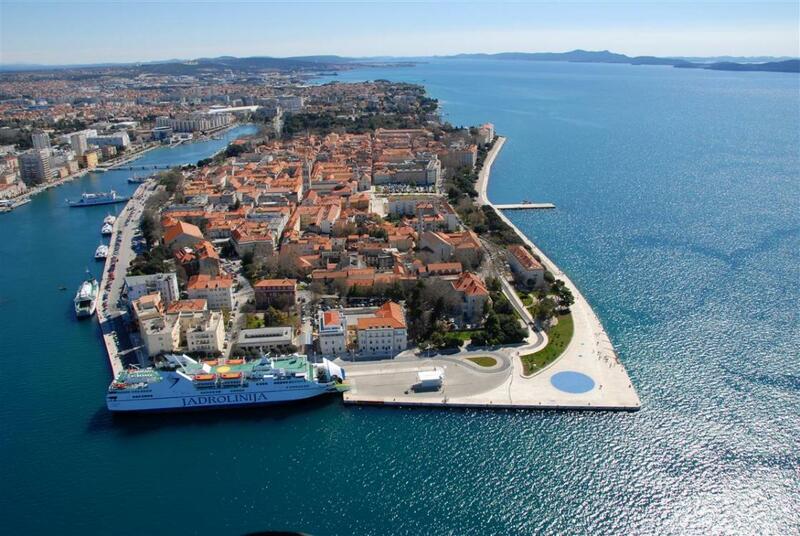 Zadar faces the islands of Ugljan and Pašman, from which it is separated by the narrow Zadar Strait. 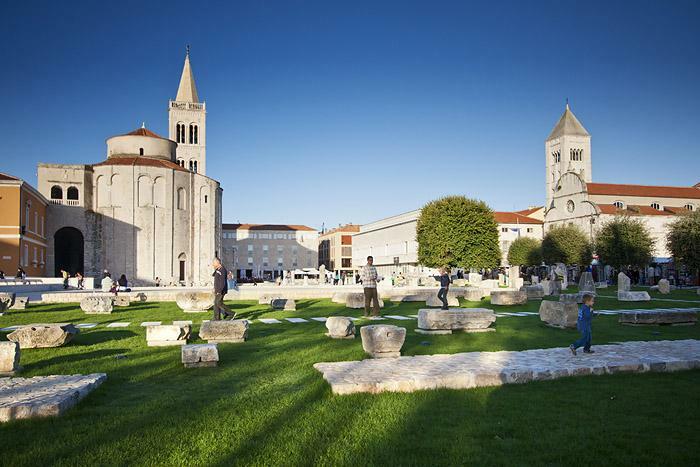 Zadar gained its urban structure in Roman times. 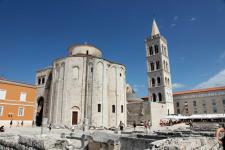 The chief interest of Zadar lies in its churches. 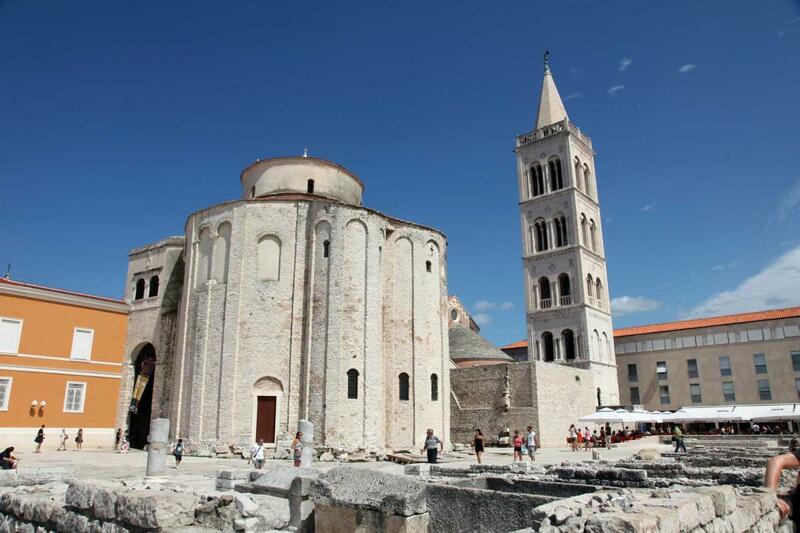 St Donatus' Church - a monumental round building from the 9th century in pre-Romanesque style, it is the most important preserved structure of its period in Dalmatia; St. Anastasia's Cathedral, basilica in Romanesque style built in the 12th to 13th century is the largest cathedral in Dalmatia; St. Krševan's Church - monumental Romanesque church of very fine proportions and refined Romanesque ornaments; St. Elijah's Church; St. Francis' Church, gothic styled church; Five Wells Square and St. Mary's Church, which retains a fine Romanesque campanile from 1105. 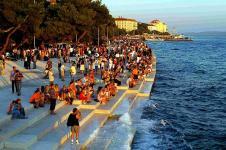 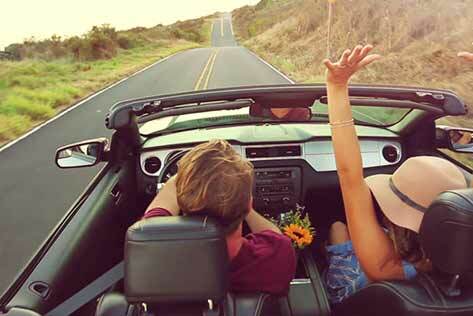 Two of Zadar's most intriguing attractions are the Sea Organ and Sun Salutation. 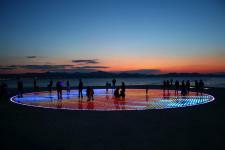 Using the power of nature - the sea waves and the sun - these monuments engage the senses in unexpected ways. The Sea Organ allows the sea to play its own tune as it pushes air through a series of pipes built into the seaside promenade. 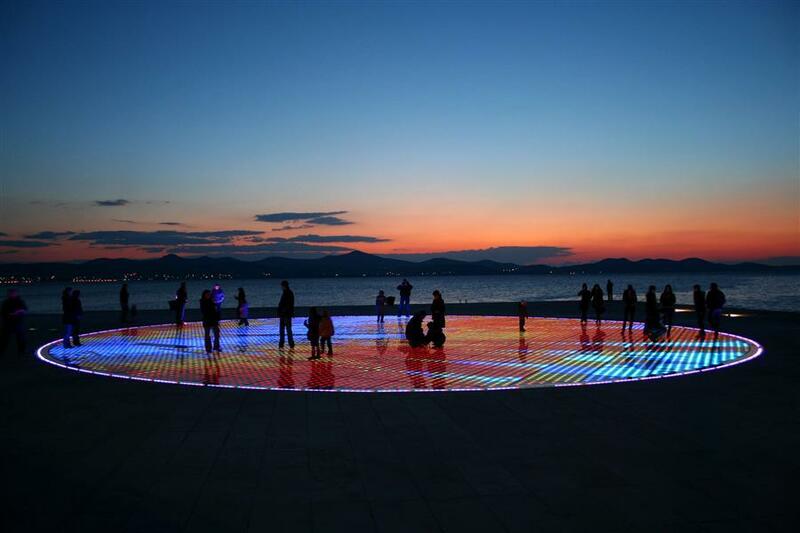 The Sun Salutation uses solar power to create a light show that displays at night.